The Vegan Mouse: Some eats. I've had precious little time to prepare meals so Mr. Mouse has been so helpful with my meals and also with the babe. 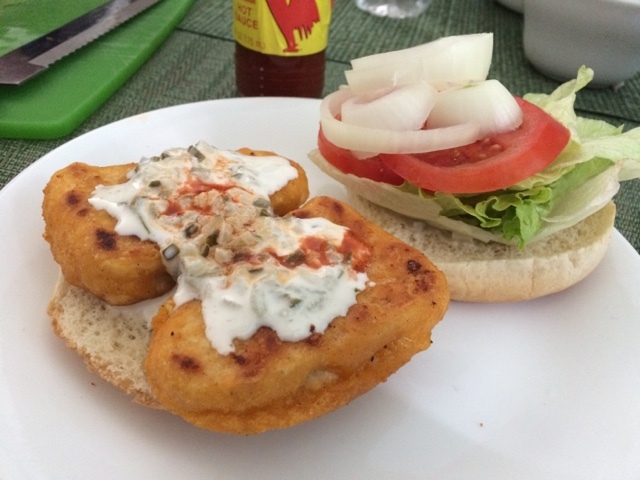 Here is a delicious Gardein fish fillet sandwich with tartar sauce made with mayo and relish. 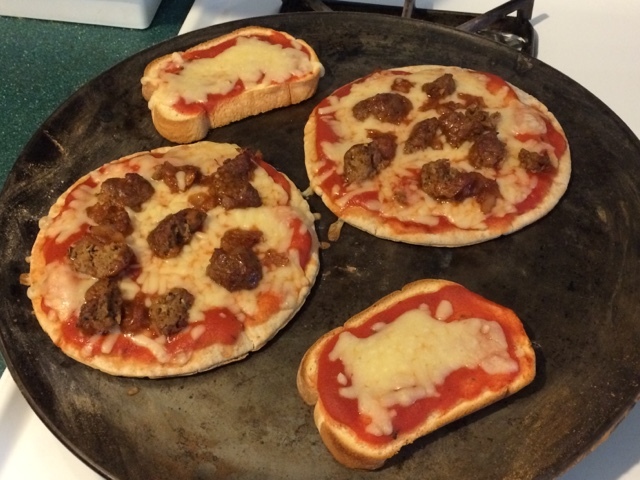 These are amazing pizzas with Gardein meatballs and Trader Joe's mozzarella. I had a packet of ready made dough in the fridge but it had gone bad so I used pita bread and sandwich loaf. Turned out great! Recent pic of Hank Bowie, now 2 weeks old. 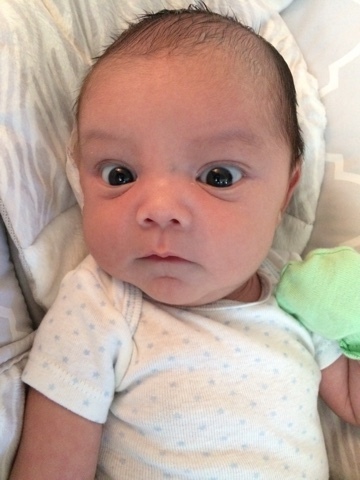 How is it that newborn babies change so much everyday? Blows my mind. Enjoying every little moment! Beautiful, hunger inducing food pics as always! Hank is absolutely adorable, his little face!!! Hank Bowie is super cute and I could eat those fish less fillets every day! The taste is spot on. Locali sandwich and buffalo cauliflower. Tofu and mushroom cheesesteak sandwich. Native Foods lunch and vegan burrito.